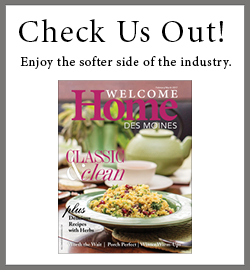 This year’s HomeShowExpo brought together some of the metro’s finest builders at Prairie Trail in Ankeny. The beautifully designed and decorated custom homes made a lasting impression on attendees with their unique styles and creative uses of space. Each home was a distinct reflection of the builder’s interpretation of today’s new homes. The competition was tough, but the results are in and we’re proud to feature the winners.